Want to catch up with the SynApps Healthcare team? This entry was tagged Alfresco, Documentum, ECM, electronic health record, electronic patient record, NHS, VNA by Carina Birt. Maidenhead, UK – 14 September, 2015 – SynApps Solutions, the content management solutions company, is delighted to announce the appointment of professional services specialist Paul Champion to its leadership team. 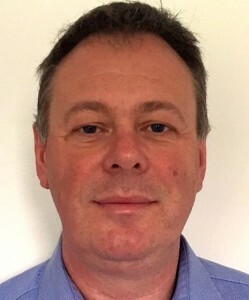 Responsible for running all client and project management functions, from pre-sales through to project delivery and transition to support, Paul will be accountable for all SynApps project deliverables, with his appointment seen as another key addition to the growing UK firm’s leadership team. With his team of solution delivery consultants, Paul has also been tasked with scaling processes and extending SynApps’ capacity to deliver large-scale enterprise-level projects with parallel teams. Paul has over 25 years experience in developing and managing professional services organisations in the Enterprise Content Management (ECM) technology space, across a range of varied business sectors including publishing, criminal justice, public sector, finance and healthcare. A certified Agile Scrum Master and PRINCE2 project manager, Paul has had a career working with major systems integration, web agency and software product companies. 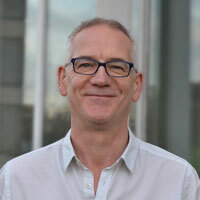 At Oracle Consulting, for example, he was Product Development Manager for its Interactive TV product division and part of the Oracle team that delivered broadcaster Sky’s first ever in-house interactive TV content management system, from where he moved to head up the Web consulting arm of Cable & Wireless. Paul has also been head of R&D at Scoot.com, and a VP for Clinical Solutions International, where he managed software teams across the US and UK. Paul is keen to get involved in his new role. “SynApps’ passion for its technology solutions and customer service is infectious,” he enthuses. “The team is very strong, very committed with a drive to get the job done. Technically, we are the strongest in the UK for Documentum and Alfresco deliveries with service expertise across strategic consultancy, implementation, content migration, training, hosting and long-term application support. Many of our managed services contracts are for several years; you don’t get this without great client relationships and deep trust by our clients in our expertise. “I’m looking forward to the challenge of working on all aspects of SynApps across our services and product solution and helping to grow SynApps to support our pipeline,” he concluded. 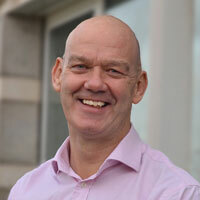 Mark Winstone, SynApps’ Joint Chief Executive Officer, added that, “Paul’s hugely impressive management experience at directorship and VP level, solid track record of Agile and Waterfall ECM delivery, combined with SynApps’ attention to detail and technical expertise, will be an extremely hard combination to beat”. SynApps is an independent services and solutions company specialising in Enterprise Content Management (ECM) technology. Founded in 2003 by former Documentum services professionals, SynApps provides consultancy, implementation and support services for EMC Documentum and Alfresco, and has authored a suite of content integration solutions, ConXApps, that allow businesses to quickly maximise their investment in ECM technologies. This entry was tagged Alfresco, Documentum, ECM by Carina Birt. Ten Years of Innovation. How About Many More Years of The Same? I never thought I’d be saying this – but we are ten years old! SynApps Solutions is celebrating our first successful decade. November 2013 marked ten years of us providing powerful content management integration solutions that have been transforming the way our customers work. One of the foundations to this ten years of success is the fact that our business never seems to stand still. Continuous innovation, in a range of fields, from Documentum and Alfresco support services to our work with Electronic Health Records and development of our ConX range of applications – all of which wrap up to provide ‘scalable content and records management solutions that exceed our customers expectations’ – that’s become our ‘brand.’ And that’s something we are incredibly proud of. The demand for constant innovation was in our DNA from the start. To offer our customers the maximum benefit, all our solutions and services had to be relevant and fit-for-purpose – addressing their current and emerging business challenges, too. Let me remind you of the SynApps’ ‘garage story’ – how all this came about. Jim Whitelaw and Richard Wiffin, formerly members of the north European professional services senior management team at ECM (electronic content management) leader Documentum, found out they shared the same vision: to innovate and take solutions to areas that were limited by COTS (commercial off-the-shelf) products. In the spring of 2003, Jim and Richard had ended up stuck at Heathrow Airport by a delayed flight. While usefully passing the time networking, with some relaxation time in the bar thrown in, the seeds of SynApps were sown. That initial conversation was built on with a series of other convivial chats with soon-to-be co-founders Jason Scholes, Paul Edwards, James Paton and Neil Johnson at that well-known hangout of tech entrepreneurs – the Spaghetti House restaurant near Victoria Station in London. In such salubrious surroundings, the shape of an exciting new business was soon visible, and SynApps was founded on November 10th, 2013. Drawing on the founders’ project delivery skills, we began by focusing on ECM consultancy and implementation services for large, blue-chip organisations. We soon had customers not just in the UK, but in Benelux and beyond – one of our very first assignments was to design and implement a loans processing system for a major bank based in Australia, for example. Solidifying our heritage with Documentum, we became that supplier’s first premier level European partner. That relationship matters to us, albeit (because Documentum became part of the EMC family) now under EMC’s C3P partner programme. In practical terms, that means in addition to content strategy development and consulting services, the resale and implementation of the market-leading Documentum ECM platform, as well as hosting and support services, is part of the portfolio of services we jointly offer. 2013 Last but not least (and have you visited us yet?) we moved into our new home – a dedicated, high-security support office in Hemel Hempstead.The things Jim and Richard talked about when they were stuck at Heathrow helped accelerate our growth in the past ten years, despite a tough market, creating an organisation which now has a headcount of 40. And as a team we have continued to extend, hone and develop our offerings, formed some strong partnerships and we have become an acknowledged leader in the ECM market. In addition to our long-standing EMC relationship, we are now an Alfresco Gold Partner, plus we have forged strong partnerships with major systems integrators like CapGemini, CGI, CSC, QinetiQ and Computacenter, all of whom we support with specialist ECM solutions and services. It goes without saying that we would not be where we are today if it wasn’t for our creative and immensely hardworking people – nor our ambitious customers and the visions which they have asked us to help make real. I want to extend our heartfelt thanks to all those who have shared in our journey. Here’s to the next ten years! This entry was tagged Alfresco, Documentum, ECM by Sara Paine. SynApps Solutions celebrates 10 years! This month, November 2013, SynApps Solutions celebrates a decade of providing powerful content management solutions which transform the way our customers work. This exciting milestone provides a good opportunity to reflect on how far we’ve come and the landmark developments that have got us here. One of the keys to our success is that our business never stands still. Our strategy is one of continuous innovation because we understand that, to have maximum impact for our clients, our solutions and services need to be relevant and fit-for-purpose, addressing customers’ current and emerging business challenges. Our vision: to set content free! SynApps, an enterprise content management (ECM) specialist, was the brainchild of Jim Whitelaw (Managing Director) and Richard Wiffin (Technical Director), formerly members of the north European professional services senior management team at Documentum. In the spring of 2003, Jim and Richard found themselves grounded at Heathrow by a delayed flight. It was while passing the time, in the company of their two friends Johnny Walker and Jack Daniels, that the seeds of SynApps were sown. Over a series of dinners with soon-to-be co-founders Jason Scholes, Paul Edwards, James Paton and Neil Johnson at the Spaghetti House in London’s Victoria, the parameters of the new company began to take shape. SynApps began trading on November 10th. Drawing on the founders’ project delivery skills, the business began by focusing on ECM consultancy and implementation services, targeted at large, blue-chip organisations. Customers spanned the UK, Benelux and beyond – indeed, one of our very first assignments was to design and implement a loans processing system for a major bank based in Sydney. Drawing on our links with Documentum, we became the company’s first premier partner in Europe. Today this relationship comes under EMC’s C3P partner programme, following EMC’s acquisition of Documentum. Today, in addition to strategy development and consulting services, this includes the resale and implementation of market-leading ECM software as well as hosting and support services. Our expanded strategy has helped accelerate our growth, creating an organisation which today has a headcount of around 40. Along the way we have developed our offerings and formed some strong partnerships to become an acknowledged leader in the ECM market. In addition to being EMC’s longest-standing premier partner in Europe, we are now an Alfresco Gold Partner. We also have long-established partnerships with major systems integrators including CapGemini, CGI, CSC, Qinetiq and ComputaCenter, which we support with specialist ECM solutions and services. We are very proud of what SynApps has achieved in the last 10 years and look forward to continued growth and success over the decade ahead. We wouldn’t be where we are today if it wasn’t for our creative and immensely hardworking people, or our ambitious customers and the visions they are striving to fulfil, so we want to extend our heartfelt thanks to all those who have shared in our journey to date. This entry was tagged Documentum, ECM by Carina Birt. We are pleased to say we have the opportunity to hear from our long-term technology partner EMC, whose EMC Documentum Healthcare platform is core to what we do. So please welcome Jean Van Vuuren from EMC’s Information Intelligence Group, who wants to talk on the value of two very promising and important technologies relevant to the NHS; VNA, for Vendor Neutral Architecture, but also XDS, Cross Document Sharing. EMC, via the Documentum Healthcare platform, has been providing solutions in healthcare for the last 8 years, specifically around solutions for the NHS. We are trying to help Trusts address some key areas: the first is a platform for an Integrated Digital Care Record (IDCR) and second is a platform for a vendor neutral archive for managing radiology archiving. So, why use one piece of software to do multiple jobs here? The main reason why one platform is a real benefit here is that you’re not looking after multiple IT systems; you are getting away from that whole approach the NHS is rather infamous for, where you have got lots of silos of information and it becomes very hard to join information up. And from a cost perspective, it is easier to administer a single platform. But the real benefit here is that front line clinicians and their patients really want to move towards the concept of a single patient record – and that should include both electronic patient record information but also their radiology imaging as well, because it may well get to the point where a clinician wants to see the full patient history from one environment, rather than having a lot of silos. If you look at the traditional EPR approach, by contrast: it is far more focused on the data element of the patient journey – demographic information, results and so on. What it never caters for is the historical detail that makes up the patient information, which tends to be contained on the physical paper medical record, as well as a lot of the notes that get generated around the patient. To make a full patient record, a useful one for clinicians and patients, it’s not just about the information you get out of your systems, it’s also about the clinical data that this is generated from. That is where the strength of a document management approach to IDCR kicks in. The full electronic patient record needs both the important demographic information plus all this content, in one place. What we want to do – working with trusted partners like SynApps – is ‘content-enable’ clinical applications to get to that important place. This entry was tagged Documentum, VNA by Carina Birt.